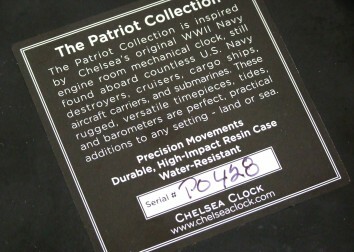 The Patriot Deck Tide is part of our Patriot Deck Series – clocks, barometers and tide instruments - inspired by the design of Chelsea Clock’s original 1940s WWII military-style deck clock. 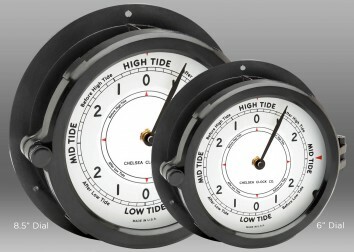 The Patriot Deck Tide Clock features all of the qualities that make this water-resistant, maintenance-free collection a leading choice for boat and outdoor use. 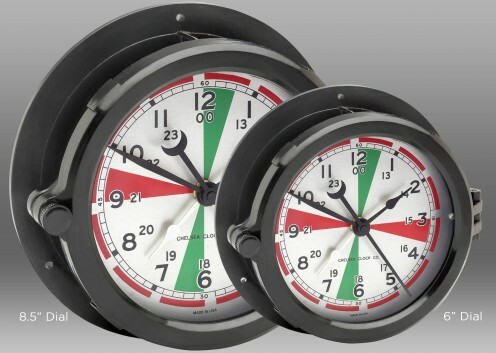 The Patriot Deck Tide features an easy- to-read white dial and a precision quartz movement. 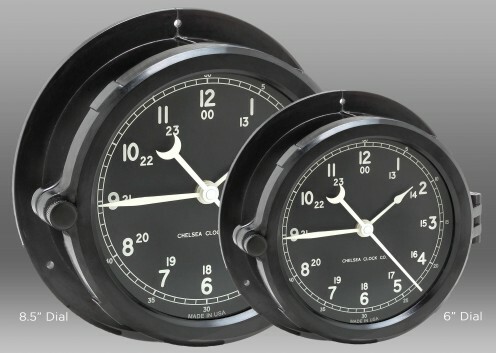 The case is made from phenolic - a high-impact, heat-resistant black resin that stands up to time and the elements. 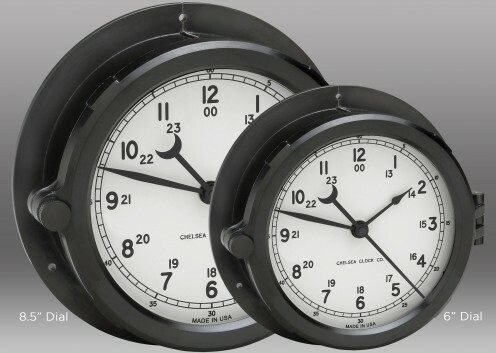 Featuring a clear glass lens, its hinged bezel and brass screw-bolt lock offer easy access for adjustments. The Patriot Deck Tide mounts to most any surface and includes matching black mounting hardware. Designed to display tide readings for East Coast (USA) only. 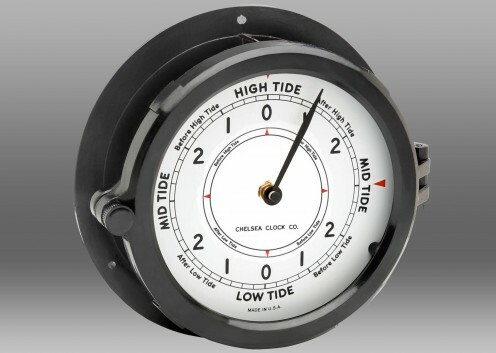 The Patriot Deck Tide Instrument is a companion piece to the Patriot Deck Clock , the Radio Room Clock , Patriot Deck Time-Tide Clock and Patriot Deck Barometer.